Our exclusive collection of decorative fine art wall decals make it easy to transform any room into the beautiful retreat you've always wanted with colorful patterns and realistic sceneries and landscapes. Create the perfect space with a view to a vibrant tropical paradise, a sparkling cityscape at night, a whirl of snowflakes, an array of colorful butterflies and more! 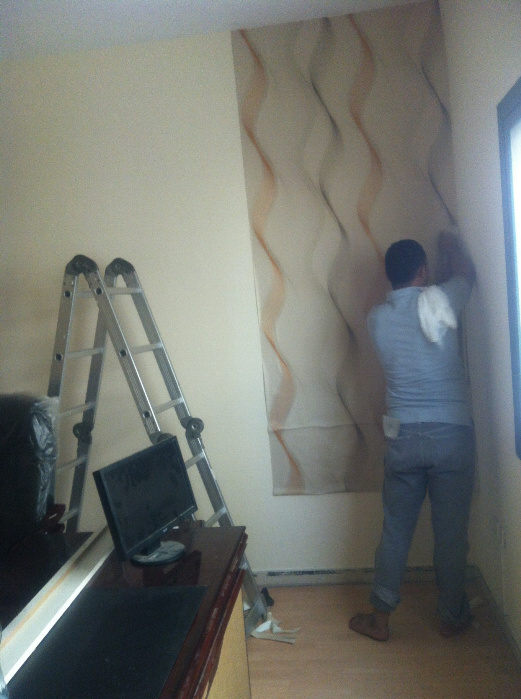 All of our home decor murals are made from high-quality, durable low-tac vinyl that's easy to remove without any damage to your walls, which makes it ideal for apartments and rental situations. You can't say that about paint and wallpaper ! 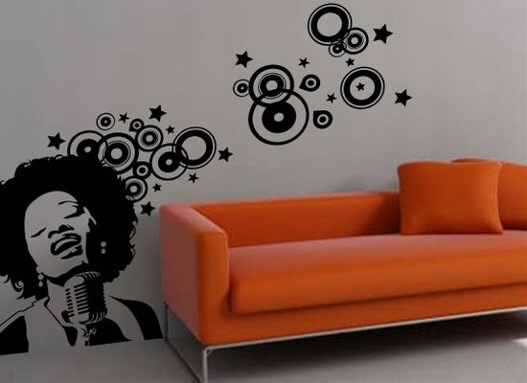 A wall decal, also known as a wall sticker, wall tattoo, or wall vinyl, is a vinyl sticker that is affixed to a wall or other smooth surface for decoration and informational purposes. 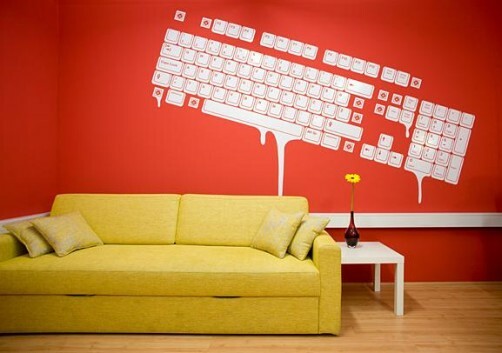 Wall decals are cut with vinyl cutting machines. Most decals use only one color, but some may have various images printed upon them. 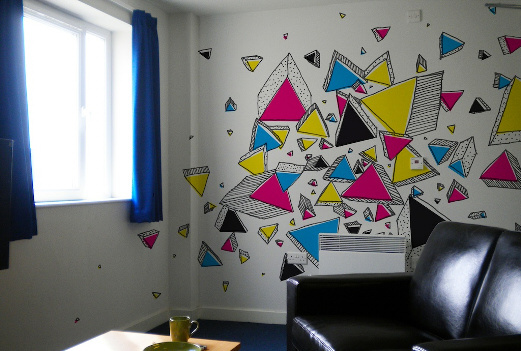 Decals can range from simple small wall borders and cut outs to more complex murals covering entire walls. They may feature words, pictures and designs. 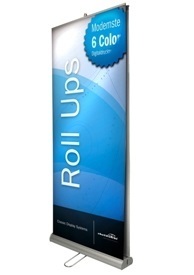 Vinyl wall decals come in various shapes and sizes. They can be as small or as large as necessary. Regular wall decals are usually between 30 cm x 50 cm and 60 cm x 100 cm. Larger decals may be 100 cm x 100 cm or larger. But we can provide you, your custom design and size according to your needs.